Few children in UDICC go to school, as their parents cannot afford to send them. There is very little public education available. Of the 40 schools in the area, only two are public, while the rest are private. Families have to pay fees and buy uniforms and supplies. When parents are barely able to put food on the table, there is little left to send children to school. In many cases, parents are often illiterate themselves, and they see little value in education. Physical access is also sometimes a challenge for the more remote families. Additionally, private in this context does not indicate that schools are good. The quality of education children receive is usually very low. The schools are often small, dilapidated structures that lack basic equipment and teaching materials. Teachers are overworked, underpaid, and mostly under qualified. There is no attention paid to limit the number of students per teacher or the number of students in a class. There are only two small clinics in the area, but for rural families with dirt roads and paths, these are difficult to get to. The clinics are poorly staffed and often lack the necessary supplies and equipment to provide quality care. On the whole, getting medication is difficult, and those who can access it lack the resources to take advantage of it. Families continue to rely on traditional healers and home remedies, and the burden of ill health increases. Perhaps the biggest thing that prevents children and families from enjoying good health is lack of knowledge. Parents know little about basic aspects of health care and disease prevention. Mothers do not know about prenatal care, so they are weak and their babies are born with low birth weights. Parents are uninformed about good feeding practices and nutrition that can strengthen children, or safe food handling, water protection and good hygiene practices that can protect children from infection. There is often a lack of understanding in how to recognize when children need help and when they are being taken advantage of by healers. It is no surprise that mother and child mortality rates are high here. The area has rich water supplies. Despite this, there is no money or government capacity to exploit these resources. Instead, many families still depend on surface water for drinking. Surface water sources are largely unprotected, and are therefore easily contaminated. Over half of the families in the community drink unsafe water, and few have latrines. Children routinely suffer from diarrhea, typhoid fever, and other waterborne illnesses. For most families, practicing agriculture is the only way to survive. The odds, however, are stacked against these rural farmers. The area is being rapidly deforested, leaving soil exposed and eroded. There is little rainfall and no irrigation. Farming practices are not modernized and there is no technical assistance to help farmers. The quality of seeds used and cattle raised is poor, and lack the resilience to bring good returns. There is a small informal market, but the poor transport conditions means they cannot access markets to sell their produce and earn a fair price. Families cannot earn enough to meet their basic needs. There is no community organization, so the families here do not have a voice. There is also a lack of cooperation among farmers, so they cannot band together to seek help, procure supplies, or negotiate for higher prices. UDICC, which is short for Union pour le Développement Intégré de Cerca-Carvajal, is one of the most underdeveloped communities in Haiti's Centre Department. The largely rural area has next to nothing in terms of public infrastructure like schools, roads, health centres, and banks. The only way to travel here is on dirt roads, which are usually in bad shape, even during the dry season, and sometimes not passable by vehicles. There is no electricity service in the rural area. The challenges of living here seem almost insurmountable. Those who can struggle to make a living through subsistence agriculture. Their production is very low, however, which means they do not produce enough to eat and have little income to meet even their basic needs. Unemployment is rampant and the rate of illiteracy is high. With all of these obstacles, the community is falling deeper and deeper into poverty. These conditions leave families with a low morale, and cause a steady stream of migration out of the area. Help parents to understand the value of education for the future of their children and the community as a whole. 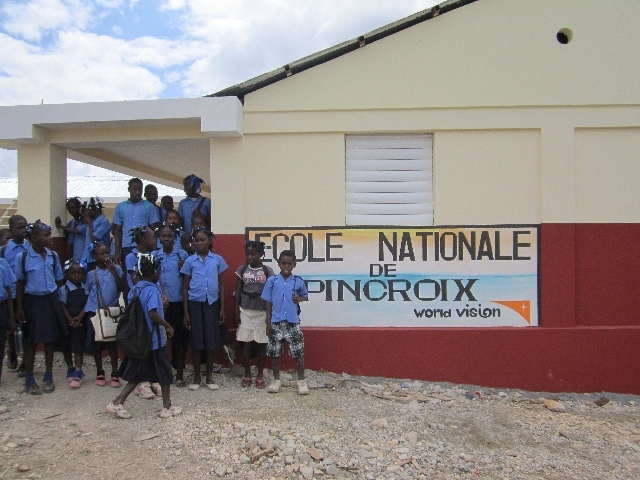 Supply fees, uniforms, and school supplies so children can attend school. Train teachers and principals to improve the quality of education that schools provide. Build and rehabilitate school buildings in partnership with local authorities and the community. Establish parent-teacher associations to continuously work together to support children and improve the quality of education they receive. Form children's clubs and promote other recreational activities, like sports and arts, to engage children, help them to develop their talents, and motivate them to continue to learn. Build a local health centre in partnership with the community. Establish and stock an accessible first aid clinic. Train community members, especially mothers, and midwives on good hygiene and disease prevention practices. Help children and women of childbearing age to get appropriate vaccinations and vitamin supplements. Train parents with malnourished children in nutrition and demonstrate how to prepare nourishing meals using local ingredients. Monitor malnourished children to ensure their recuperation. 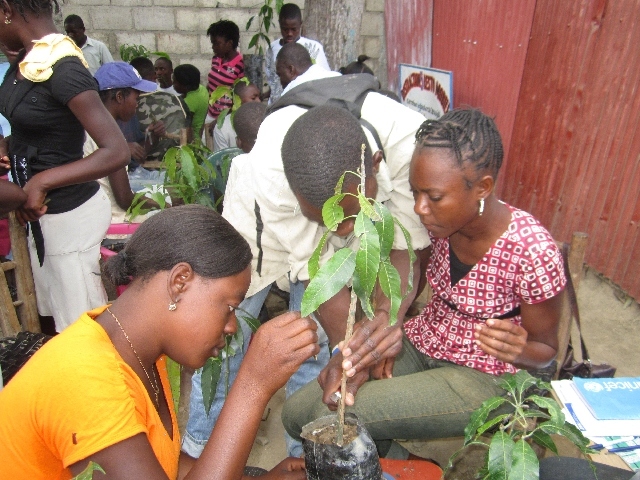 Assist parents in establishing family gardens so they can grow vegetables and raise small animals. Drill wells, rehabilitate and protect springs. Help families to build latrines. Build and repair irrigation systems. Establish a centre to train farmers, as well as demonstrate new methods and technology. Establish banks for agricultural tools and seeds. Introduce improved seeds and cattle breeds. Establish savings and credit cooperatives. Strengthen community organizations and train leaders. World Vision is in communication with community networks to stay updated on damage and on the status of sponsored children, so we can respond quickly.